Welcome to Gothenburg! Are you hungry? When I first moved to Gothenburg, back in 1992, I was shocked after my first visit to a grocery store: strange looking (and tasting) sausages, five types of cheese, tons of cabbage and apart from that, there really wasn’t much to choose from. I’m exaggerating, of course, but this country and its cuisine have changed so much in the years since. After we joined the EU and importing food from other countries became easier, our grocery shops changed, radically, and the range of supplies increased dramatically. But not only grocery stores, our restaurants changed, too, from serving “classic” cuisine, based on red meats, pork, venison and locally grown vegetables like carrots, potatoes, onions, and cabbages (we are, after all, a Nordic country, meaning, our climate isn’t ideal for a lot of produce.) and brown sauce and lingonberry jam. Here on the west coast, people have always eaten fish, often pan-fried, served with potatoes, some vegetable and sauce. And there is something to be said about a delicious home-style cooked classic dish. Sadly, in the past quality was not necessarily something Swedish cuisine was known for. 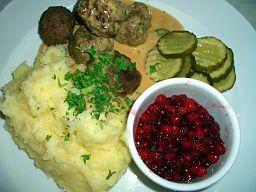 If you’re interested in learning more about traditional Swedish cuisine, feel free to ask us. From IKEA meatballs to smörgåsbord and “halv special”, we’ve got you covered. I say this with pride. Our cuisine is among the top in the world. Our chefs are proud to use fresh ingredients, locally sourced products, and the suppliers are keen on trying out new ideas. While Sweden may never be a cheese country like my own home country of Switzerland, there are some cheesemakers who produce some amazing cheese these days, a far cry from the industrialized and tasteless, wax-covered stuff you get in your next-door grocery store. For some, like my husband, a cheese plate for dessert is the highlight of a meal. Last night, I served my family a fillet of cod. Just lightly seasoned with salt and pepper. Delicious. You should see what a real chef can do with cod. One of my favorite fish. Or a catfish… Mouthwatering! Definitively a favorite of mine is salmon, which you can catch right here in Gothenburg, in our moats. Swedes eat a lot of salmon! 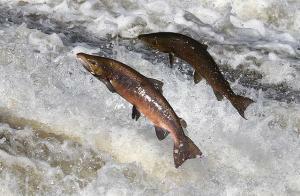 Most of it comes from farms in Norway where salmon are kept in huge basins in their deep fjords. Environmentally not without question marks, but things are getting better. If you go to a quality seafood store here in Sweden you’ll have a choice between Norwegian salmon and wild salmon, caught either in Sweden or abroad. © Copyright Walter Baxter and licensed for reuse under this Creative Commons Licence..
It’s a very versatile fish. I’m having a bit of a love story with warm smoked salmon right now. It is pink in flesh, very tender, moist and tasty that I could eat it daily. But that wouldn’t be good. Salmon is a very fatty fish, healthy fat mind you, but still. Lots of calories, and besides, if you eat something as good as salmon every day, you grow tired of it… There’s also cold smoked salmon, which I’m sure we all know, that orange thin slice you find on smørrebrød or canapés around the world. Here in Sweden we also eat cured salmon, which is available year-round, but particularly popular on our smörgåsbord and for Christmas. Salmon is also easy to fry fresh or from the over. One amazing way to cook your salmon is to cover it entirely in salt and to cook the entire fish in the oven. 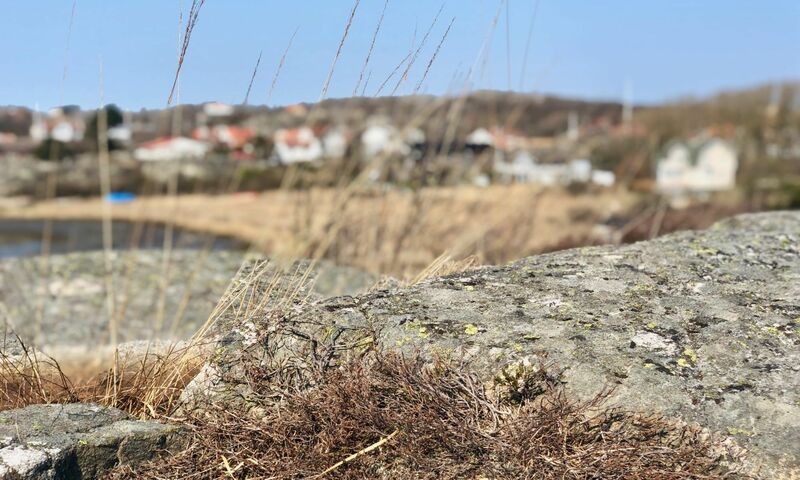 Shrimp are a staple food and Friday night favorite not just in our house, but all over the West Coast of Sweden. It’s a quickly prepared meal with a good baguette and aioli, paired with a dry, fruity white wine. Great when you have friends over. You can take your time and eat slowly. But did you know that we have amazing oysters right here on the West Coast? And we also have amazing clams and scallops that are grown here? We even grow our own seaweed for Japanese inspired seaweed salad. Crayfish or “scampi” is also a Swedish delicacy and while most of Sweden prefers sweetwater crayfish, cooked in dill, the West Coast prefers their ocean-dwelling cousins, bigger, cooked in salt water and with a pink/orange color. Needless to say that we’re about to begin our lobster season, and while our local lobsters may be smaller than what most people remember, properly prepared (which isn’t easy! ), they’re an amazing dish. Where to go? Where to eat? Luckily, these days, there are few places where you will not eat well here in Gothenburg, whether it’s Swedish or international cuisine. There is a case to be made that you’re more likely to eat well when you eat local cuisine because it’s easier to get fresh ingredients. And more difficult to find a chef who truly knows how to prepare e.g. Szechuan, Salvadorian or Angolan dishes… Having said that, there are people from over 190 countries living in Gothenburg, and they all like to taste a meal from their ancestral home every now and then. You’ll find a lot of international restaurants in town, not just pizza and kebabs. Welcome to Gothenburg. Enjoy your meal! PS: Don’t eat meat? We have some excellent choices for vegetarians and vegans, too. Ask us! Previous PostPrevious As we wind down the sunniest summer, ever? Lessons to be learned?